Players score points for preventing cave-ins, collecting gems of different values, and building upgrades - which give them tactical advantages to help them win the game. Once one player has installed all of their upgrades, the game ends immediately, and players score up their mines. 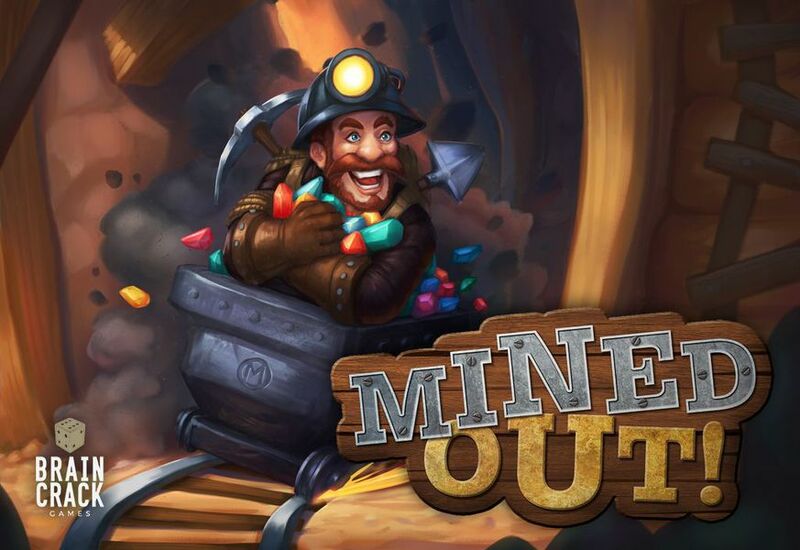 A pocket-sized game with billions of potential mine combinations and plenty of different strategies, Mined Out! is a well-balanced, family-friendly game to suit players of all levels.